By this development and progress of internet and technology the usage of PC (personal computer) is more increased than before because it’s a demand of time. Not only this, we can also perform many works of daily routine life however, computer is more admirable for the professional use. Every professional uses PC is his desired manners and in this regard PC desktop plays most important and vital role. In this regard you should be practical in desktop customization, because it’s a nice way to arrange the desktop files. 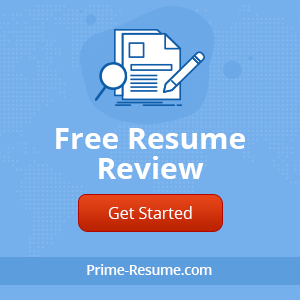 I have seen many professionals who are able enough to do the best desktop customization, because there are many tools available on the subject matter. If you are looking for a useful desktop customization program then you should try to use below valuable and essential tools for desktop customization. Using these tools for desktop customization you can easily do make your PC desktop more attractive and simple, and I am sure that you will become fervent on desktop organization using these customization tools. If you want to make your PC usage perfect on Linux then you should use the Conky because it’s able enough to provide you many amazing features about the desktop. Because Conky is a free and light-weight system monitor for X, and it displays all the information on your desktop. 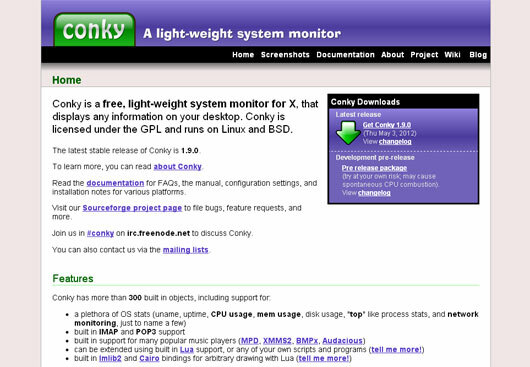 Conky is licensed under the GPL and runs on Linux and BSD. ObjectDock is also a very useful tool because you can easily organize your shortcuts, programs and running tasks into a nice-looking and enjoyable animated dock. It’s a well-known Windows dock in the world and you should also try the program because it can add style and function to your computer. 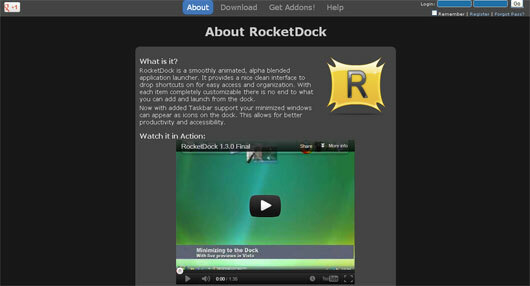 RocketDock is a very useful tool in fact it’s a smoothly animated, alpha blended application launcher. It provides a pleasant clean interface to drop shortcuts on for easy access and organization. And in this way you can organize your desktop successfully using this tool your minimized windows can appear as icons on the dock. If you are a user of Mac and looking for a wonderful tool that can prove pretty useful for you then you should use Tynsoe. 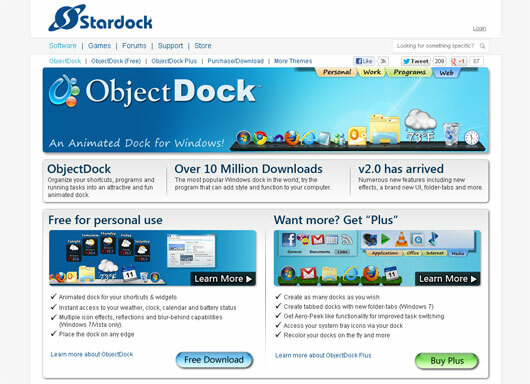 Because GeekTool is an application for Mac OS 10.6+ and it allows you to display many kinds of information on your desktop via 3 default plug-ins. And in this way you can make your desktop more attractive. If you are looking for a most excellent tool about the desktop customization then you should use Samurize because it has many wonderful features on the subject matter. Basically Samurize is an advanced system monitoring and desktop improvement engine for Windows 2000, XP, 2003 and Vista. IT professionals, overclockers, gamers and desktop modders can also use this. 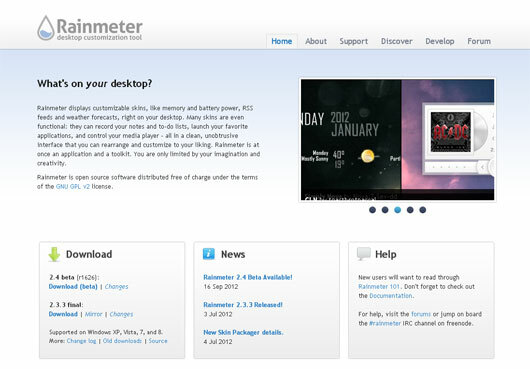 Rainmeter is a very useful tool because it provides you many wonderful features regarding your desktop. Basically Rainmeter displays customizable skins, like memory and battery power, RSS feeds and weather forecasts, right on your desktop. And in this way you can make your desktop more effective. 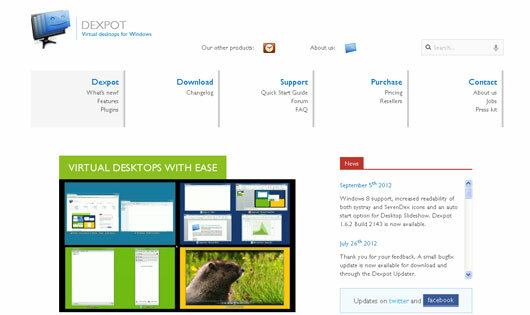 If you are using windows based PC then you should use Dexpot because it provides you virtual desktops are supplemental work spaces for windows and icons in Windows. Among its features there are many essential features like overcome desktop clutter, it also make easy to working with many applications. It also organizes applications into work areas. Emerge Desktop is a replacement windows that provides you many essential features that you always looking for Windows XP and above. 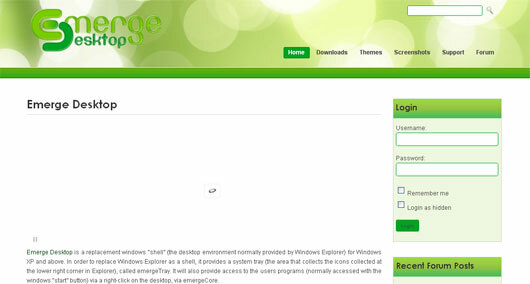 It will also provide access to the users programs via a right-click on the desktop, via emergeCore. And in this way you can use your desktop in many wonderful ways that you always feel affection for. 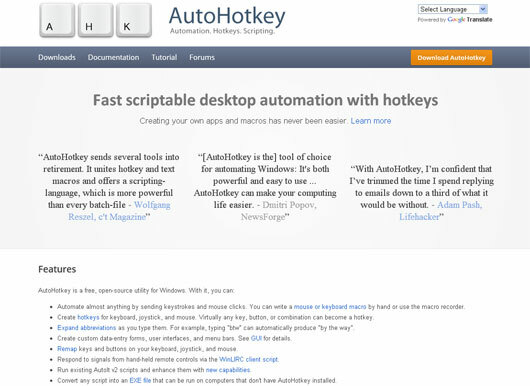 AutoHotkey is a useful tool that provides fast scriptable desktop automation with hotkeys and automates almost anything by sending keystrokes and mouse clicks and you can also create hotkeys for keyboard, joystick, and mouse as well. Using this tool almost any key, button, or combination can become a hotkey. For desktop customization Tiles can prove very useful because it has many wonderful features and with Tiles you can hurriedly view and manage your running applications by simply looking to the edge of your screen. 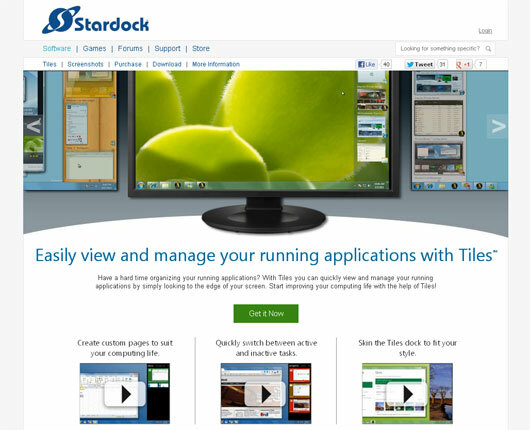 And in this way you can easily view and manage your running applications with Tiles.